A wedding isn't complete without a delicate shower of natural petal confetti to celebrate the first moments of being a newly married couple. 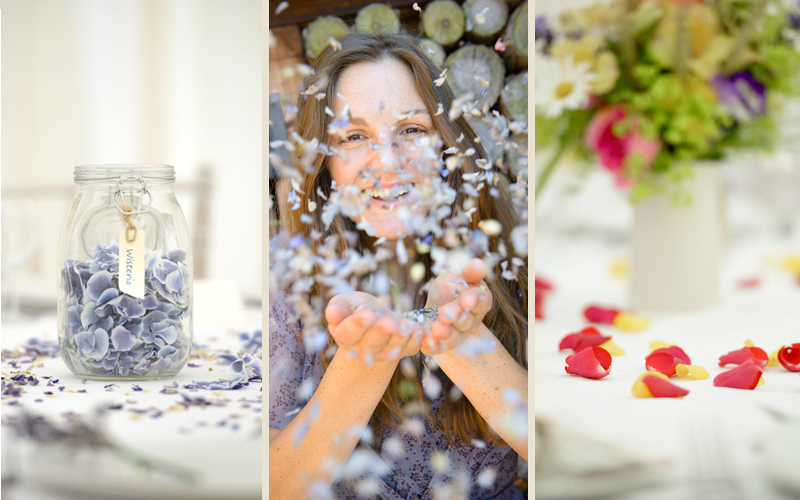 Here at Shropshire Petals we grow biodegradable and eco-friendly natural petal confetti. We grow, you throw! It's the perfect choice for your wow factor confetti moment! 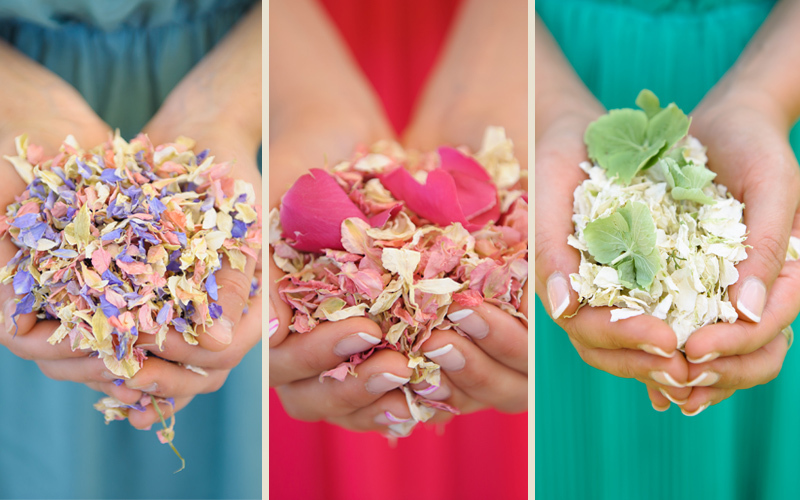 Why use natural petal confetti? Most churches and venues only allow natural petals to be thrown as confetti as it is just like blossom from the trees, it does not harm wildlife and as it is biodegradable, plus there is no mess to clean up. Some churches and venues assume confetti is paper or synthetic types, order a free sample to show them and they might just change their minds. Head to our pick and mix page to choose your unique confetti mix. Choose from a variety of petals and colours to match or contrast your wedding theme. TOP TIP - for throwing confetti, smaller petals such as delphinium and wildflower are best as they are light, creating a delicate flutter. You can mix in some larger petals for added definition and colour. For decorating, use larger petals such as rose or hydrangea - sprinkle them on a crisp white tablecloth for a romantic touch to your reception tables. Use the confetti calculator to ensure you order the perfect amount of confetti, whether you want it for throwing, for flower girl baskets, for decorating tables, or even for creating a romantic petal path. You can still take advantage of this discount by ordering now and using our delayed delivery service - click here for our delivery information. Orders over £50 receive free delivery too! 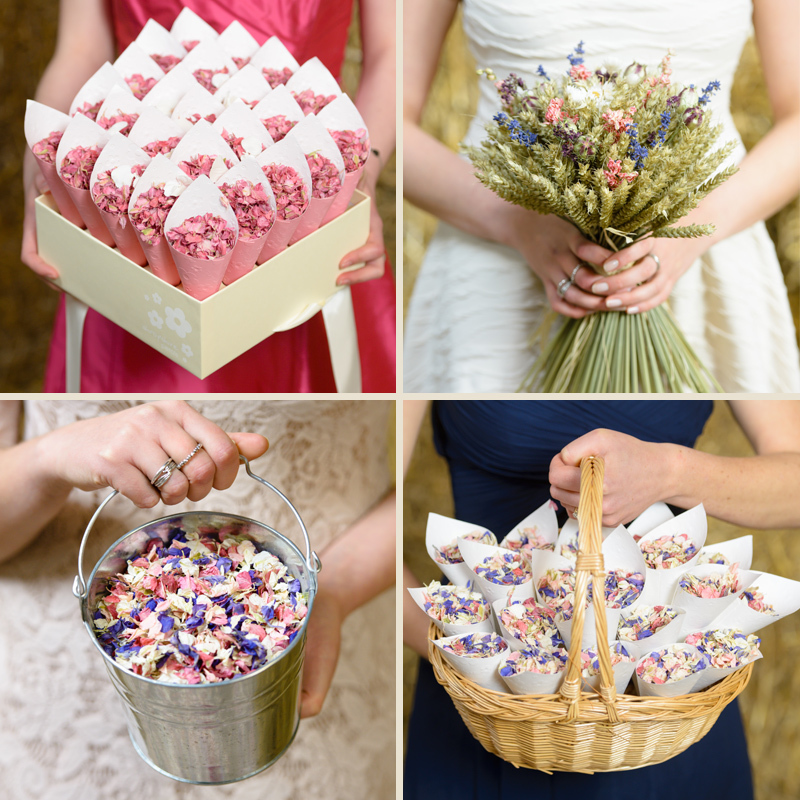 Choose your perfect confetti packaging, including the Shropshire Box, confetti pails, Bo-Peep Basket, Confetti Basket, Flower Girl Basket, Hessian Canvas Bag and confetti cones. and more by browsing the website. 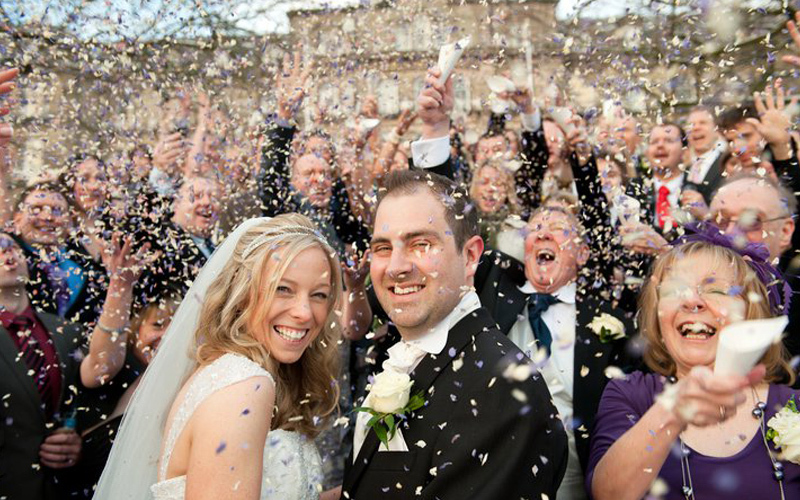 Enjoy your special day and for tips on how to get the perfect confetti photo, visit our blog.